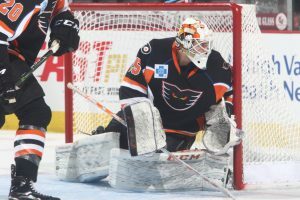 Lehigh Valley, Pa. – Dustin Tokarski turned aside all 22 shots he faced Friday evening and Greg Carey netted his team-leading 29th goal of the season as the Lehigh Valley Phantoms earned a 2-0 victory over the Providence Bruins in front of 7,383 fans inside PPL Center. 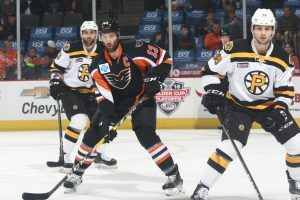 With the win, the Phantoms improved to 43-17-4-5 overall this season as Lehigh Valley continues to pace the Atlantic Division with 43 wins and 95 standings points. Friday’s win continued the Phantoms scorching hot play of late as Lehigh Valley captured its 16th win over the team’s last 22 outings (16-3-3). 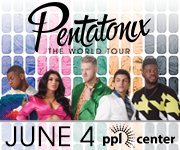 What’s more, the Phantoms have now claimed standings points in 16 of the club’s last 17 home games (14-1-2) as Lehigh Valley improved to an impressive 24-6-5 overall at PPL Center this season. 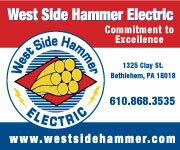 Friday’s shutout was the Phantoms’ sixth this season and the team’s fourth in the month of March. What’s more, it was Lehigh Valley’s third straight blanking at PPL Center as the Phantoms now haven’t allowed a goal on home since a third period conversion by the Binghamton Devils back on March 11 (span of 186:08). The shutout was Tokarski’s fifth this season as the 28-year-old netminder improved to 18-7-6 overall this year. He’s been particularly on fire recently though having compiled a 7-2-2 mark across his last 11 appearances to go along with four shutouts, a 1.85 goals-against average and 0.939 save percentage. 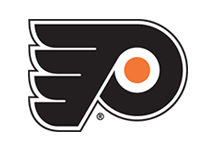 Carey (29th) and T.J. Brennan (13th) provided the offense in front of Tokarski as the Phantoms improved to 8-2-2 in the month of March. 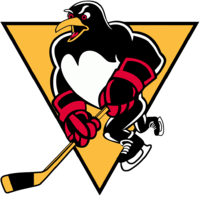 Carey’s conversion marked a new career high for the 27-year old winger who converted 28 goals for Lehigh Valley a year ago. 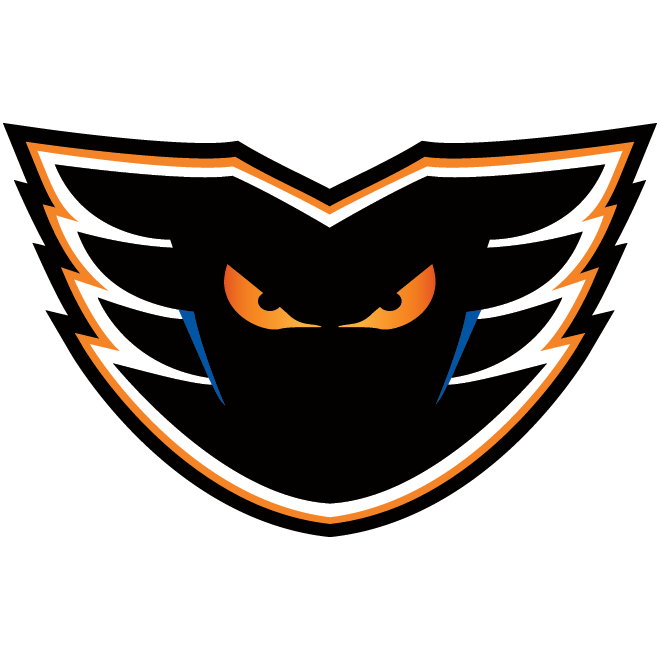 Carey’s 29 tallies is the most scored by a Phantoms player since Jon Matsumoto netted 30 goals for the Adirondack Phantoms during the 2009-10 campaign. 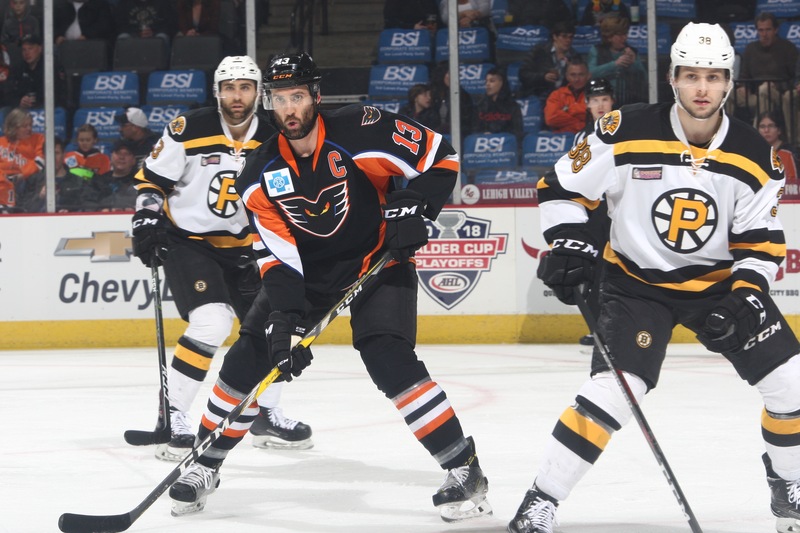 With Friday’s victory, the Phantoms improved to 3-1-1 against Providence this season. Neither side found the back of the net in the opening period despite a combined 17 shots on goal. Tokarski turned aside all 10 Bruins’ shots he faced in the first period, including a series of prime scoring chances generated during a four-minute Providence power play. Meanwhile, Providence’s All-Star goaltender Jordan Binnington denied each of Lehigh Valley’s seven first-period offerings. 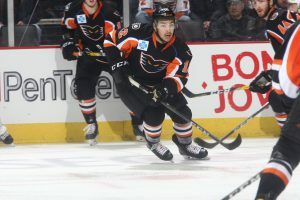 The Phantoms broke the scoreless deadlock early in the second stanza when a clean face-off win by Phil Varone led to an opportunity in the high slot for Carey who promptly blasted home his team-leading 29th goal of the season. 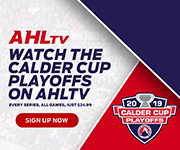 Will O’Neill collected the primary assist while Varone earned the secondary helper on the even-strength strike netted 3:26 into the middle period as Lehigh Valley tallied the game’s opening goal for the 36th time this year. 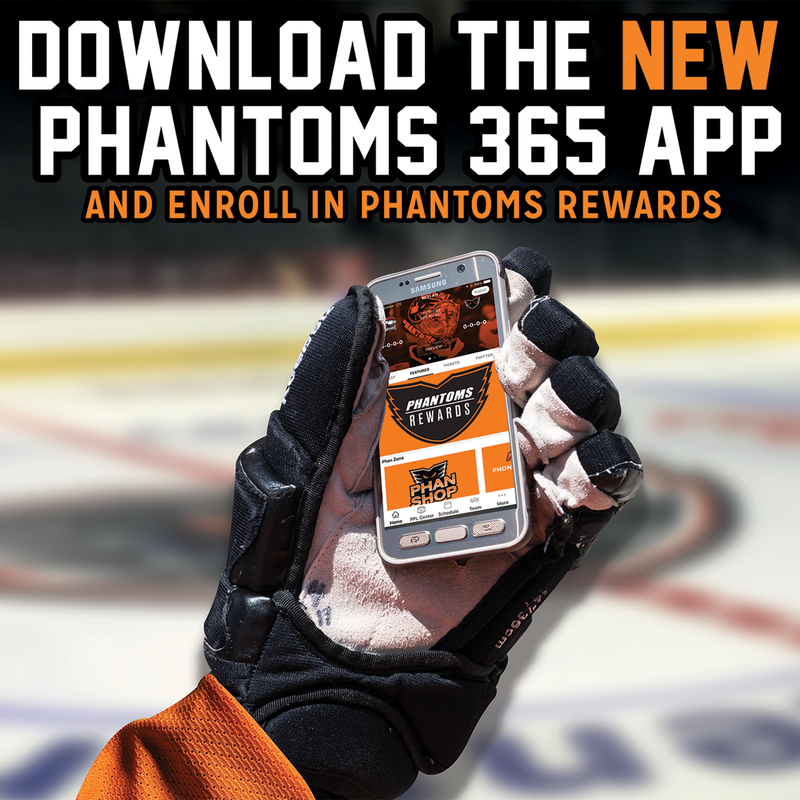 The Phantoms are now 28-3-5 when scoring first this year. Varone’s assist marked his team-leading 66th point this season (21 goals, 45 assists) as he remains in a tie with Chris Terry of the Laval Rocket for the AHL scoring lead. The Phantoms added a critical insurance marker with just under three minutes left in regulation when Colin McDonald dropped a pass in the slot for a trailing Brennan who snapped home his 13th goal of the year. McDonald collected the only assist on the five-on-five conversion buried 17:06 into the final frame. Both teams were 0-for-3 on the power play in Friday’s showdown. 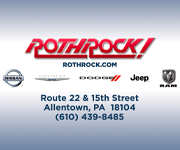 Lehigh Valley has now allowed just one man-advantage marker across its last 6 games (20-for-21). 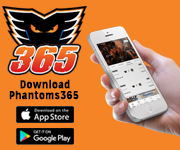 The Phantoms cap this week’s action on Saturday when they welcome the Belleville Senators, AHL affiliate of the Ottawa Senators, to PPL Center for the first and only time this season. Saturday’s game is the highly-anticipated Fan Appreciation Night as we celebrate the best fans in all of hockey. This year’s Fan Appreciation Night features a T-Shirt Giveaway to the first 6,500 fans in attendance. A limited number of tickets remain for Saturday’s game and are available HERE.